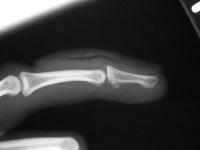 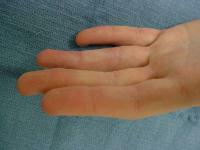 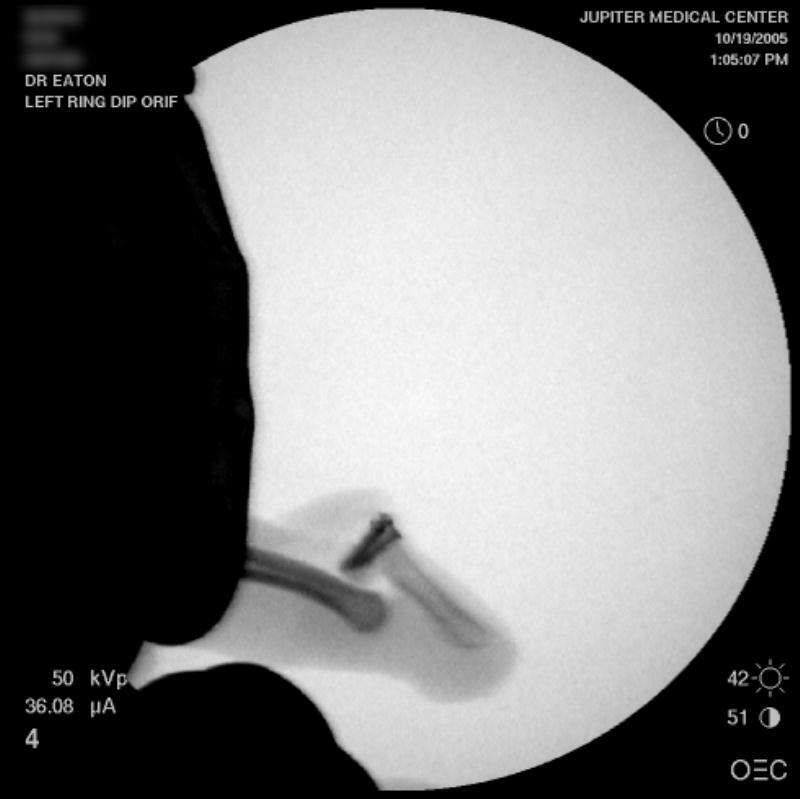 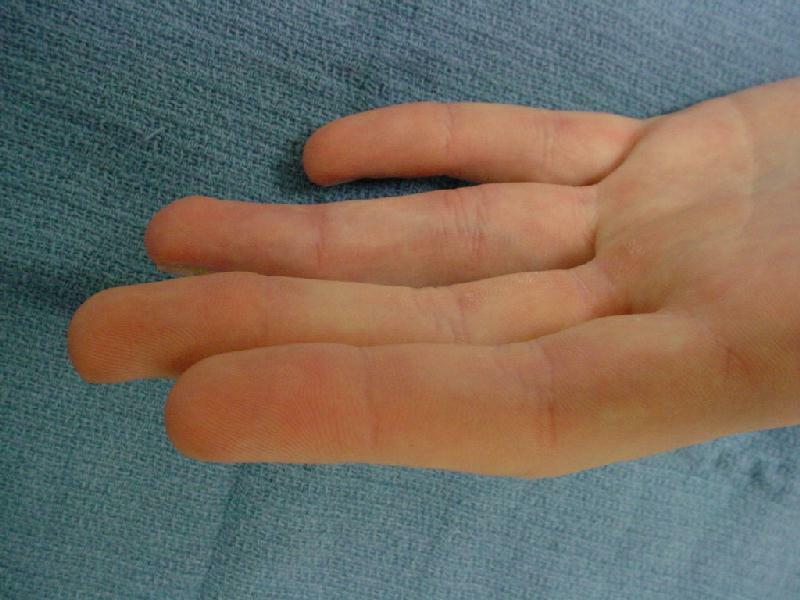 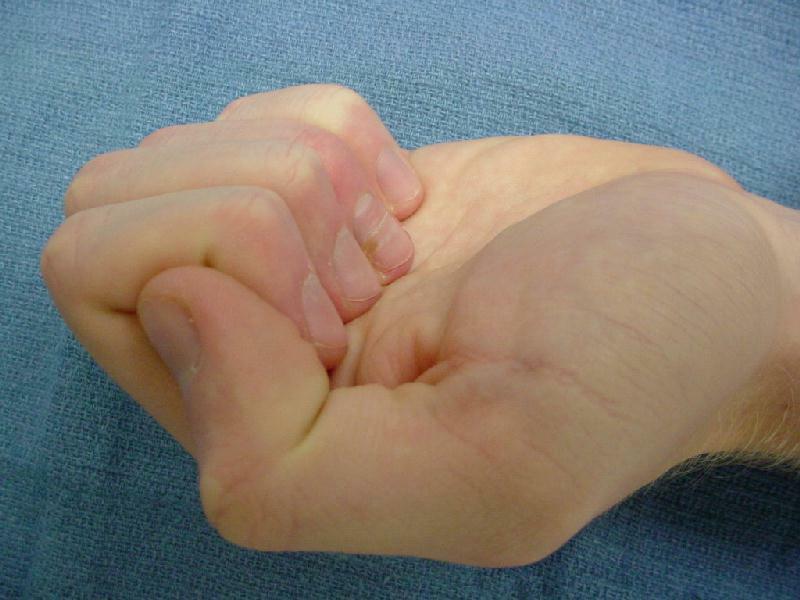 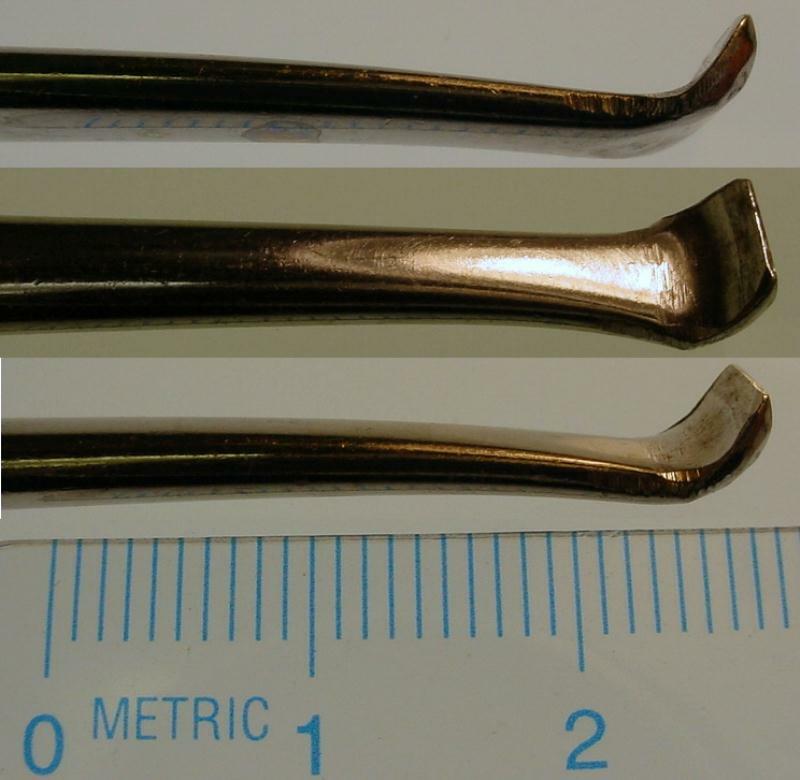 This case demonstrates the use of the gull-wing shaped hamate articular graft for replacement of loss of the palmar half of the distal phalanx articular surface from a DIP dorsal fracture-dislocation. 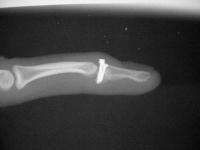 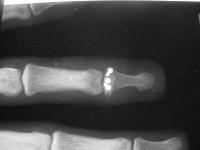 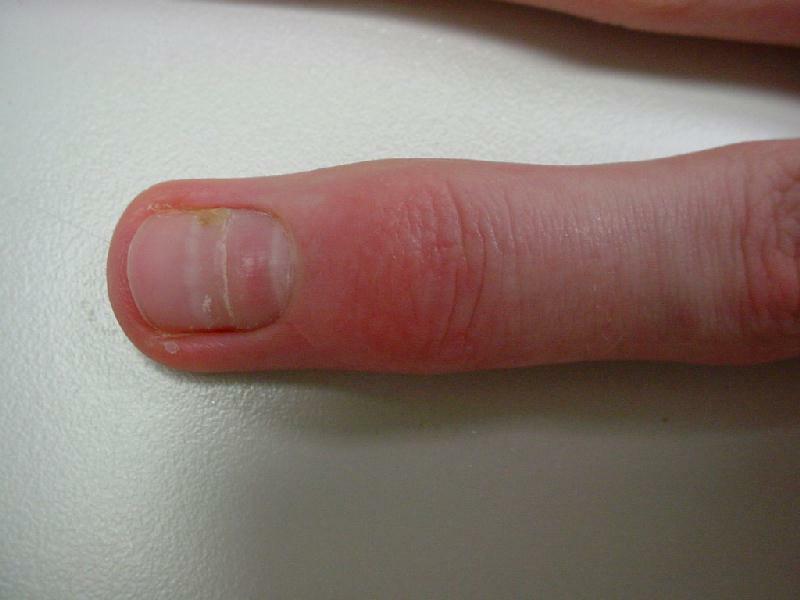 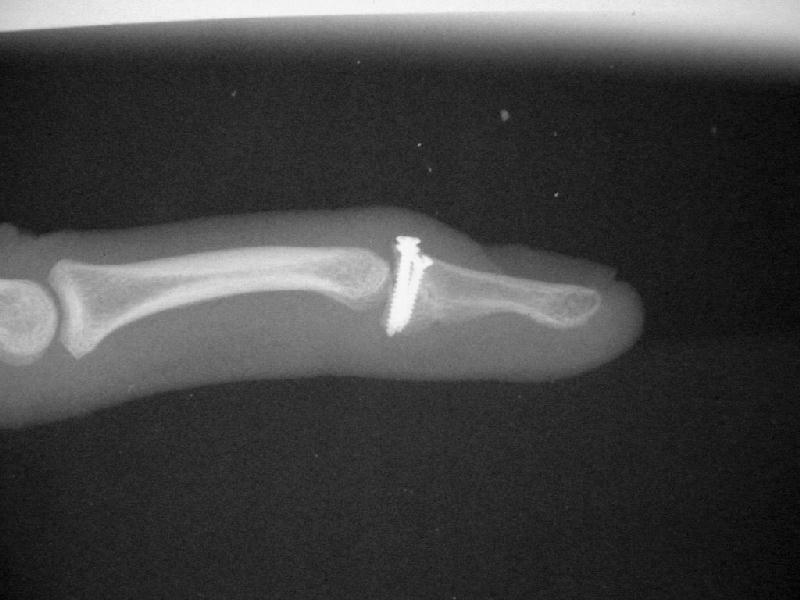 This is analogous to the HHRA reconstruction described for PIP fracture dislocation ( Case 1, Case 2, Case 3, Article ) , but because of differences in anatomy, has been performed through a bayonette exposure rather than the traditional PIP shotgun exposure. 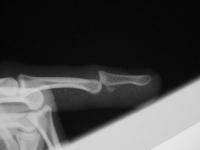 One goal of this exposure is to allow immediate postoperative motion by avoiding the need to perform a tenotomy to expose the joint. 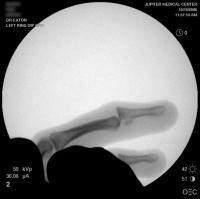 The injury:dorsal DIP fracture dislocation of the ring finger of a 16 year old male sports hopeful. Unstable even in a well molded splint. 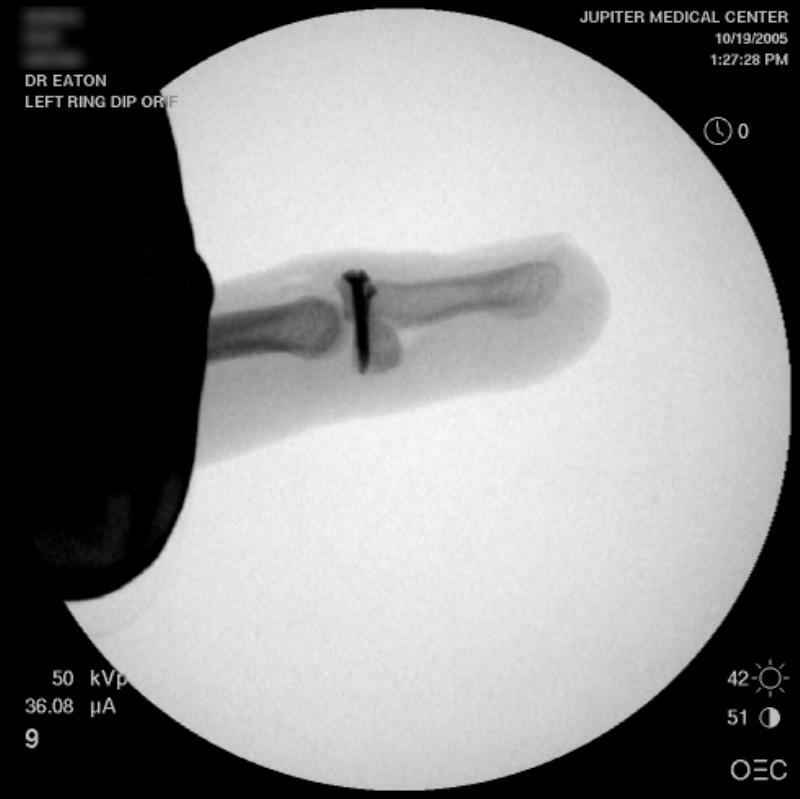 Custom articular osteotome designed to create an intraarticular osteotomy through the distal hamate surface, a bit easier to control than a Freer elevator. 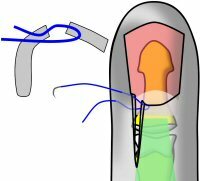 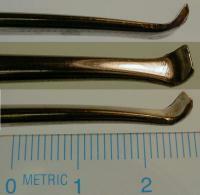 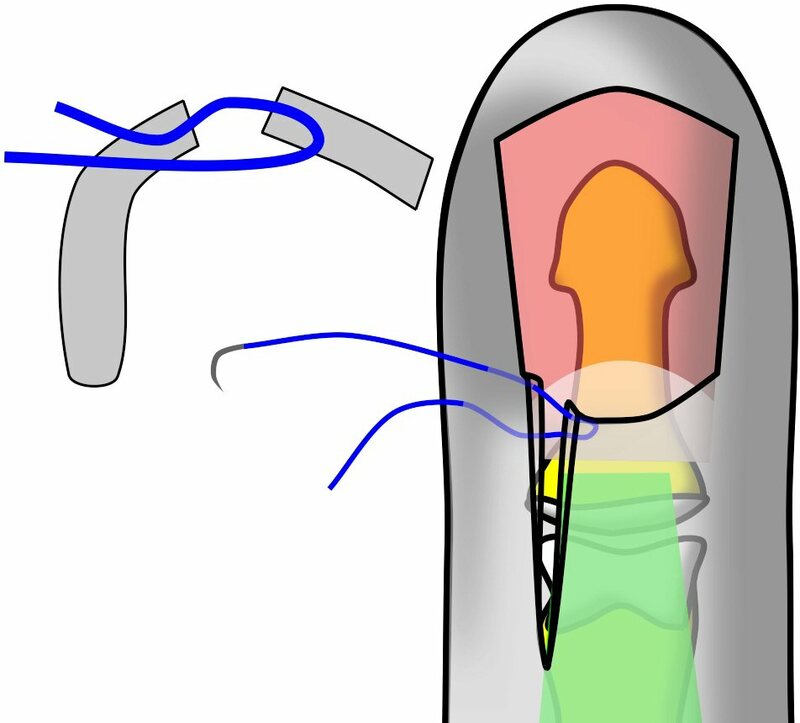 Intraoperative fluoros: The injury, reconstruction through a bayonette exposure, stable reduction. 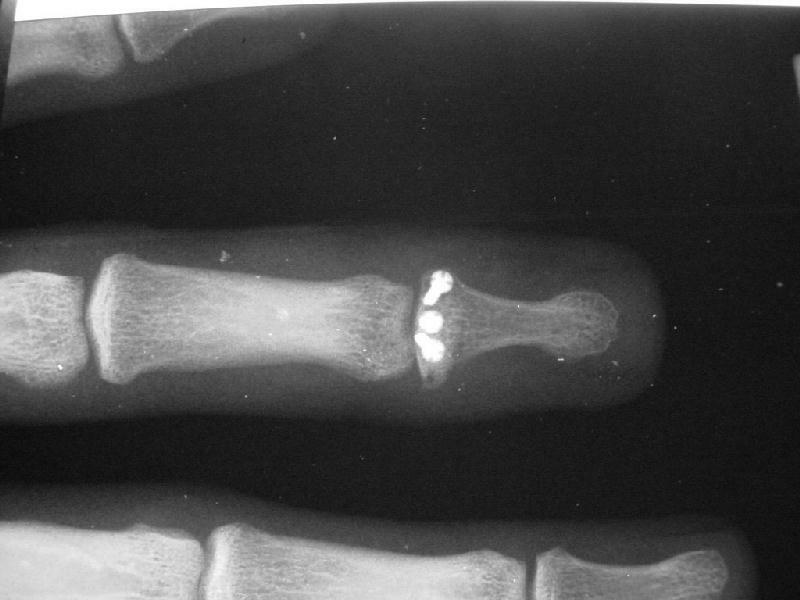 Three months postop, following a program of immediate protected motion supervised in therapy. 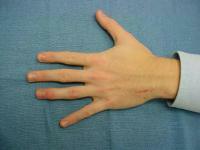 No pain, full flexion, 20 degree extensor lag, ready for sports.